Did you know that asbestos used to have the nickname “magic mineral?” After all, in its pure form, it can resist intense heat, chemicals couldn’t corrode it, and it’s a powerful insulator. The lives of about 2.1 individuals in every 100,000 Canadians every year. Mesothelioma, a type of asbestos-caused lung cancer, claimed the lives of 515 people in the country in 2010 alone. These numbers show how crucial prompt asbestos removal is if the material is present in your home. But how do you determine its presence? And why should you get professionals to remove it from your home? Don’t worry, we’ll answer all these questions (and more). So, keep reading to learn more about asbestos abatement! Canada has a rich asbestos mining history. With large quantities found throughout Quebec, British Columbia, and Newfoundland, it’s no wonder why the Great White North considered it as “Canada’s Gold”. It’s also for this reason that its use lasted up until the 1990s. Homes in the country built before the 90s feature many asbestos-containing materials, from shingles to insulation. Even other household products, like furnishings such as carpeting, also used asbestos. The thing is, even when studies on the dangers of asbestos came out, the country continued mining the mineral and manufacturing products containing it. It was only in 2012 that the last asbestos mine in Canada closed. After causing 1,900 cases of lung cancer and another 430 of mesothelioma in 2011, the government plans to have a complete asbestos ban in 2018. The fact that health and medical expert organizations say that asbestos is a carcinogen should be enough for you to remove it from your home. Carcinogens are substances that cause cancer (or supports its growth and development). According to the International Agency for Research on Cancer (IARC), asbestos is one such substance. The organization classifies it as a human carcinogenic. Aside from the above-mentioned mesothelioma, this mineral has also shown to cause cancers of the lung. It affects even the larynx and the ovaries. Two other organizations from Canada’s neighboring nation the U.S. also categorize what was once known as The Great White North’s Gold as carcinogenic to people. These include the National Toxicology Program (NTP) and the U.S. Environmental Protection Agency (EPA). Are You Exposing Yourself to Asbestos? Everyone will have some sort of asbestos exposure at some point in their life. That’s because the air, water, and soil around us contain it. The good news is that experts say there are only low levels of it. In other words, you won’t get sick from this exposure. So, the question is, when does it become dangerous? 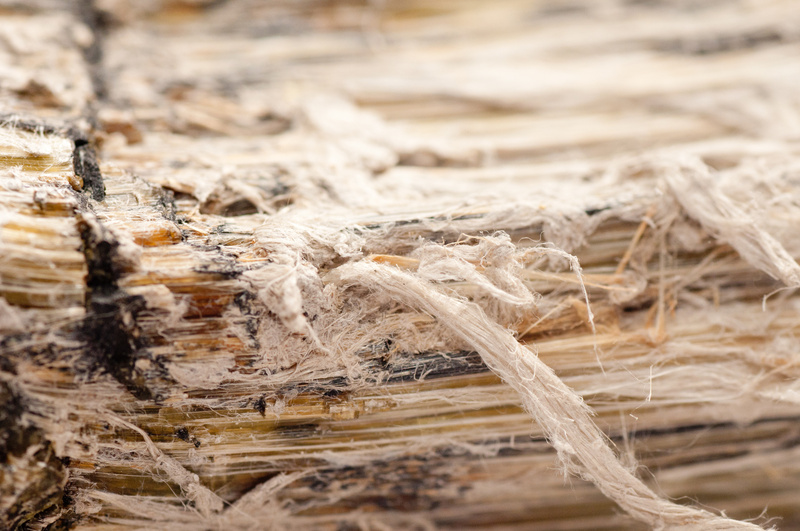 The life-threatening hazards start when you receive constant exposure to the asbestos fibers. Those who have jobs involving direct contact with the material take the most brunt of its health effects. That’s why many workers in the construction, electrical, plumbing, welding, and many other industries have succumbed to diseases associated with the mineral. For average consumers, this may happen if their home has degraded asbestos-containing materials. For instance, walls, ceilings, or floors with asbestos in them has cracked. This may be due to natural wear and tear, but it may also be intentional, such as in the case of a renovation. Simply put, undisturbed asbestos is safe. Once it breaks or becomes agitated, its fibers will already contaminate the air. This is when it becomes a danger to yourself and your family. But this banning doesn’t automatically mean your house is free of this human carcinogen. This is why you need to determine you live in a safe home free of this cancer-causing material. Also, like molds in the ceiling, some Canadian homes may also have asbestos in this area. If your home features architectural decorations on the plaster ceilings, then beware. There’s a high possibility that these design effects have asbestos fibers in them. In any case, as soon as you’ve verified you have these materials in your home, the next step is to contact asbestos remediation experts. Keep in mind that while you can look for these materials on your own, it doesn’t mean you can already remove them by yourself. The steps on how to remove asbestos require specialized equipment and tools. Think masks, fiber containment systems, and personal protective equipment (PPE) just to name a few. Without these devices, you put not only yourself at risk of exposure, but the people around you too. Although homeowners don’t have the same strict and rigid regulations when it comes to asbestos handling, the possibility of developing cancers is one risk you shouldn’t take. It’s for this reason you should never handle asbestos removal on your own. Whether you’ve already found asbestos-containing materials in your home or you plan to renovate or remodel one that contains such materials, it’s best you leave the task of removing it to pros. This is the safest, fastest way to eliminate the cancer-causing material from your house. Ready to Live in a Safe, Asbestos-Free Home? Prompt and professional asbestos removal services make a huge difference in the safety of your family. Even if the materials containing this mineral are intact, you should still consider getting rid of them. Because in time, they’ll break down and expose you to their life-threatening fibers. So, as soon as you’ve found asbestos materials in your home, contact us right away.